When looking for a triple channel RAM kit for an Intel i5 system we came across EXCELERAM out of Germany. We obtained their triple channel EP3001A 6GB RAM kit and ran it through a few tests for you. The kit at delivery contains three 2GB DIMMs of PC3-10666 1.50V at 9-9-9-24 DIMMS. These DIMMs do not come with a heat spreader which our first reaction was this was not performance RAM, but after put the EP3001A DIMMs through few benchmarks and for the price to performance, this is RAM that anyone should use as a default selection for new builds and upgrades. At the time of this review EXCELERAM is not available in the U.S. at any retail stores but after looking at the benchmarks below, we can say there will be a demand for it. Lets take a look at how the EP3001A RAM performed but first, lets take a close look at the DIMM itself. 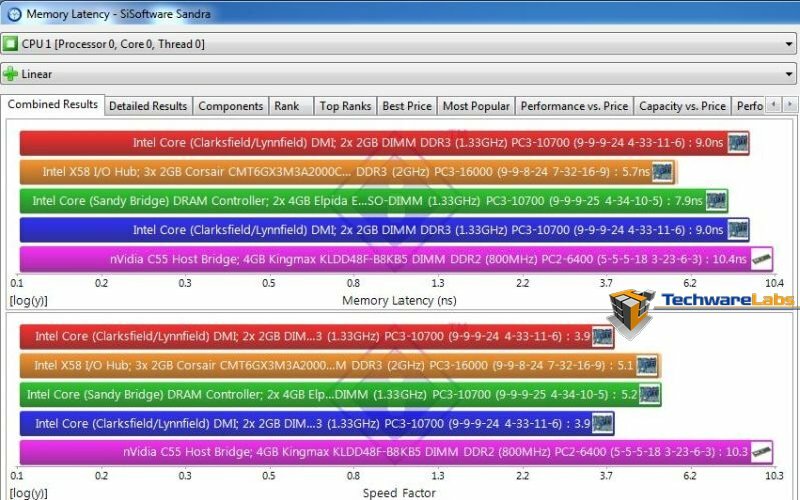 The DIMM as seen here looks like any other economy RAM on the market today. There is no eye-popping color heat spreader to help cool the DIMM or cool LED lights to flicker either. So, what makes the EP3001A RAM from EXCELERAM desirable? Well, how about no frill RAM that is priced (at the time of this review) $28 per DIMM is quite a deal! 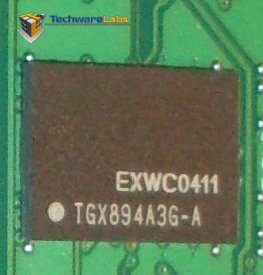 Closer look at the chip on the DIMM we see a the model numbers of EXWC0411 on each of the seven chips. In the next photo we get a close up of the sticker that is tagged on each DIMM. The sticker also acts as the DIMMs warranty sticker, so it is best not to remove it. The specifications list this RAM at 1.50V which with overclocking we were able to up the voltage to 1.65 where we were able to maintain a stable system mostly and were getting results that were a slightly faster CAS numbers (lower) than the numbers that are printed on the sticker. There isn’t much also provided by the manufacturer on the specifications on these DIMMs other than what was provided to use (show above), but we guess it is just the no nonsense product. 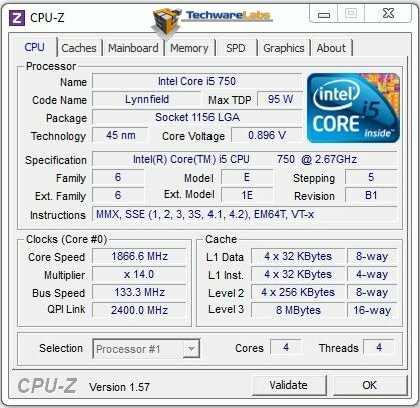 CPU tab of CPU-z software showing you the specifications of the processor being used during this run of benchmarks. 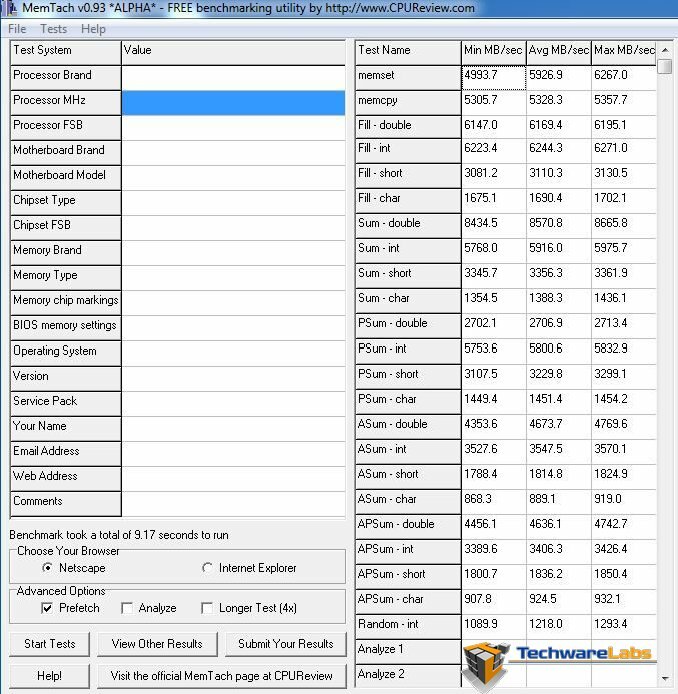 Showing the CPU tab of the CPU-z program provides us an insight into the test rig used for the following benchmarks. 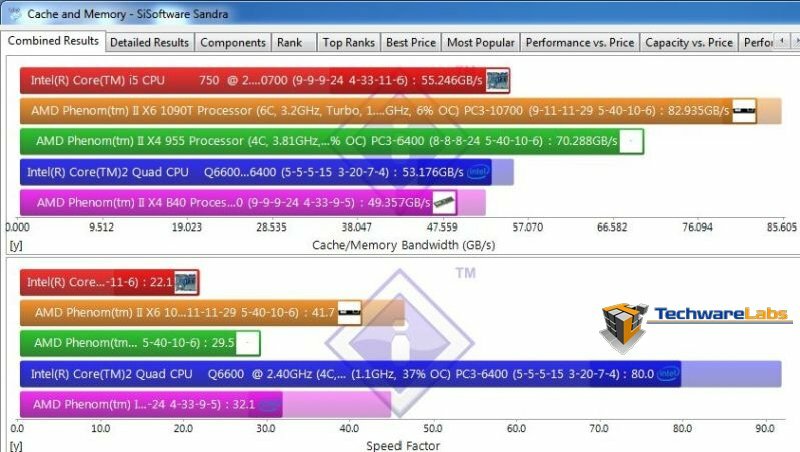 MemTach is a memory benchmarking tool designed to help analyze the characteristics of different memory subsystems. MemTach has a simple GUI interface that lets you enter information about your computer, choose your browser, and set the advanced options for the test. 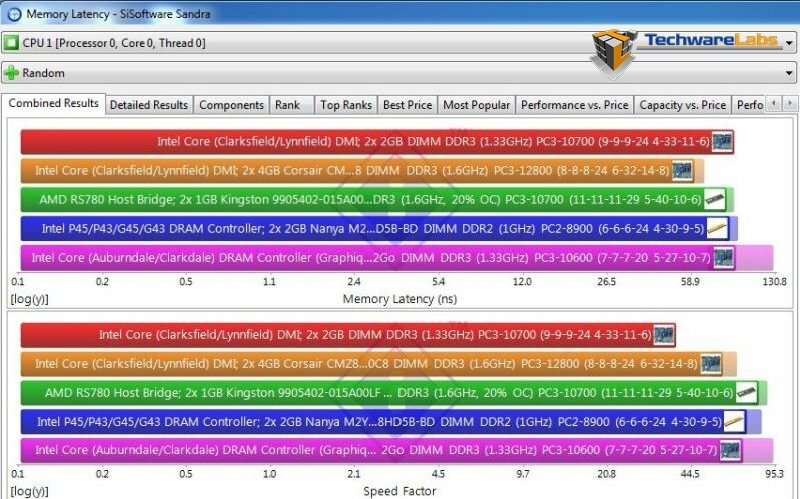 While running the benchmark system at standard settings, of 1.5V and 10666, the results of the EP3001A RAM. The scores reported by MemTach for the EP3001A RAM were respectable numbers for 10666 RAM running at 666MHz. 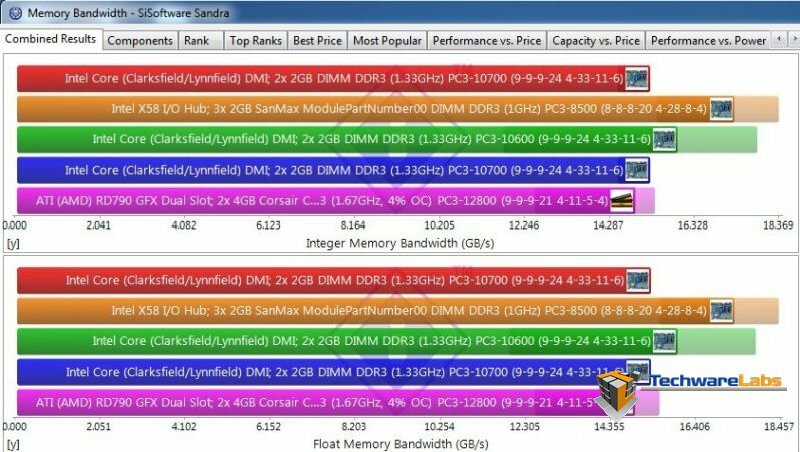 The SiSoft Sandra scores for the EP3001A were about average for RAM with these CAS numbers. The benchmarks for random access turned out to be about equal with matched RAM with similar specs. 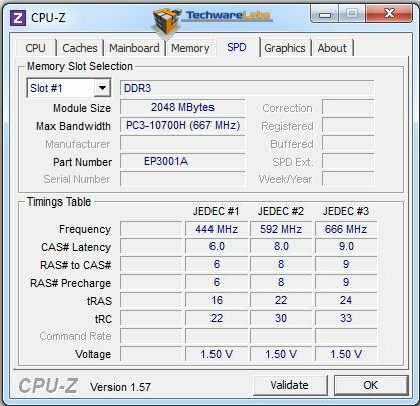 The key to getting a little better scores is to be sure your motherboard is running the latest BIOS version and then go and tweak the voltage and timing of the DIMMs to see if you can get a higher frequency and lower lower CAS numbers. The memory bandwidth benchmark result was a little disappointing. Compared to similar CAS numbers and frequency, this kit was a little slower on the integer benchmark and didn’t fare well at all on the Float Memory bandwidth test. The cache and bandwidth benchmark also didn’t score to well either for the EP3001A, but did appear to redeem itself with the speed factor benchmark. 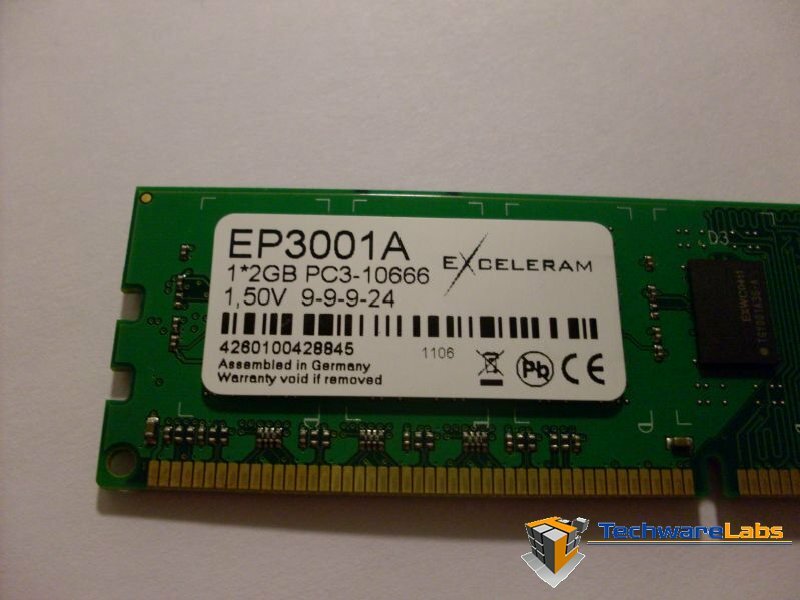 The EP3001A RAM from EXCELERAM is the kind of RAM that is very likely to be named the “ol’ reliable” or “ol’ stable” RAM that will be found in many enterprise systems in the future. 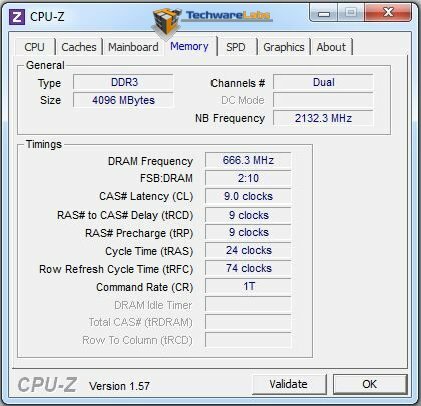 The performance CAS numbers of 9-9-9-24 running at 10666MHz means the memory is fast for the gamer who has a limited budget to spend on RAM. We stated earlier in the review that at the time of this review it is not possible to purchase EXECELRAM at a retail store or any U.S. based online stores, but keep your eyes peeled for it to show up in coming months though. The EP3001A at the time of this review is value priced (priced at time of this review) of $28 for a 2GB DIMM.